Where do the white doves go after they are released? How do the white doves know how to get back to the loft? The doves are trained to return to their home. Their home is where they receive nourishment and where they want to be. The birds are placed on a special diet prior to your event and their main objective is to return home. Birds utilized for your release will be experienced birds that have been trained in many practice situations. What are the chances the white dove will soil my gown? There is always a chance of this happening. Every precaution is taken to eliminate this embarassing situation. As mentioned above, the birds special diet prior to your event is an advantage in this situation. 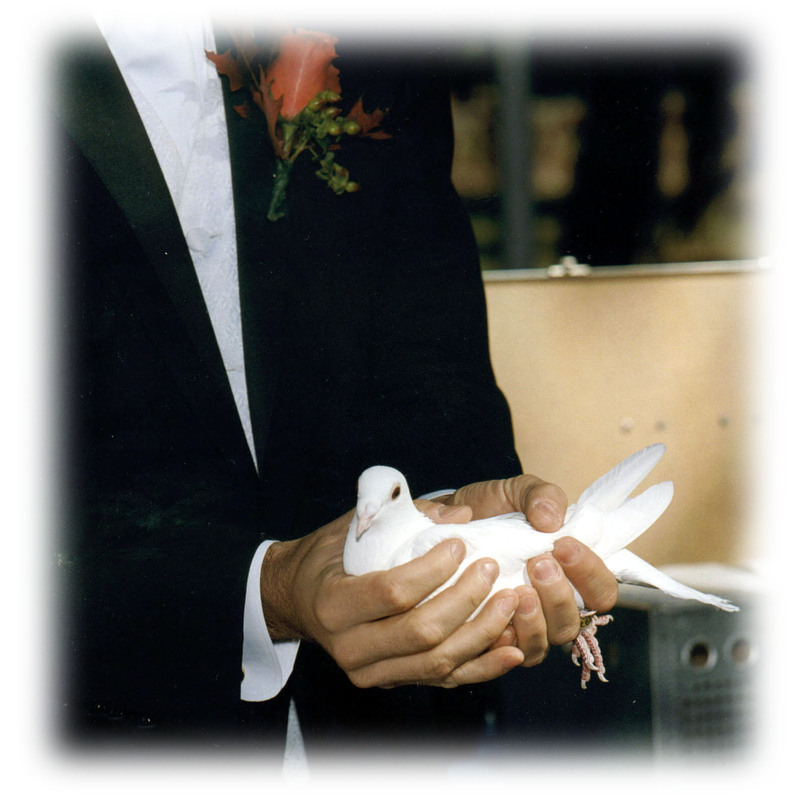 Here at the loft we also provide free practice of handling the doves prior to your event. This is a great way to become familiar with the birds . When handled properly the doves are relaxed and thus place less strain on their system. The position of the bird in your hand also controls the direction in which the dropping will fall. Will the doves circle when released ? Sometimes they do circle around when beginning to orientate themselves to an area and find home. If the area is familiar they tend to fly home as fast as possible. If you have any additional questions we will be glad to answer them.